The action genre was owned primarily by the movie serials during this time and it was the peak of their popularity. 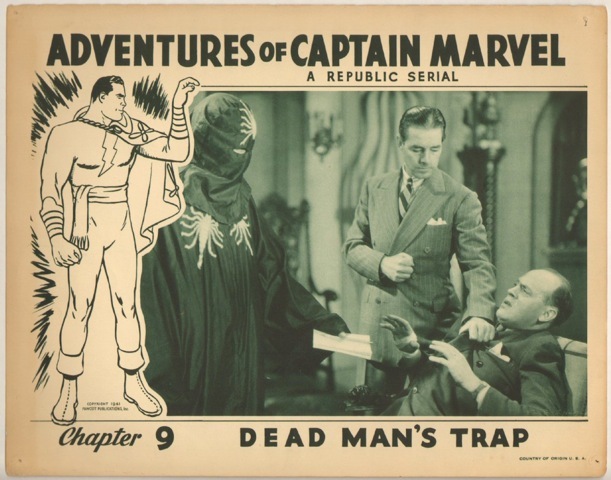 The Adventures of Captain Marvel was hugely successful and widely considered to be one of the best serials ever produced. 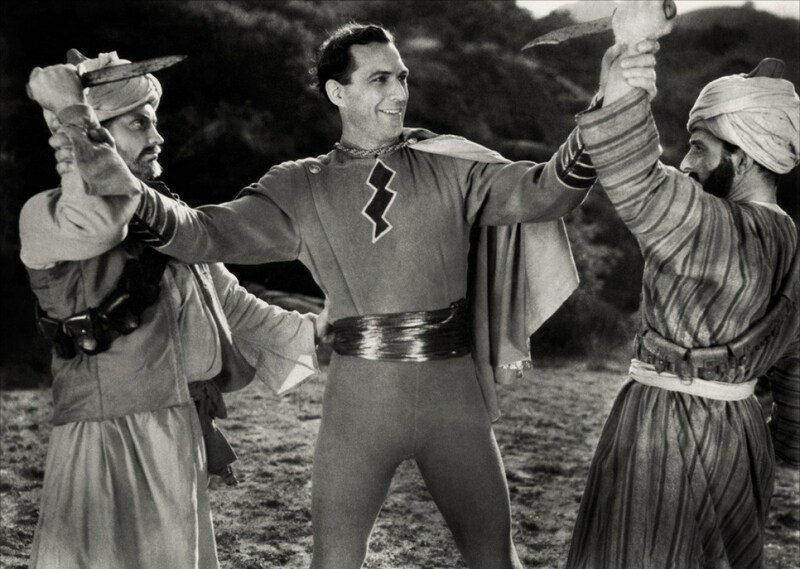 This was the first depiction of a comic book super hero on film. 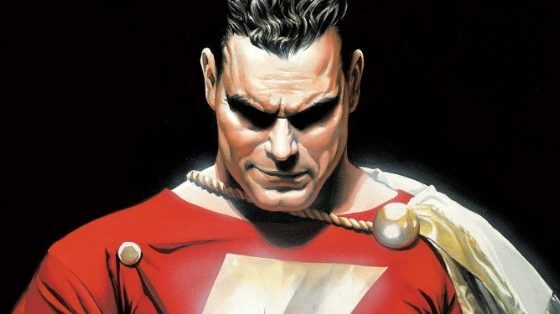 It is considered by most to be the best in a line of the Superhero serials that would follow. 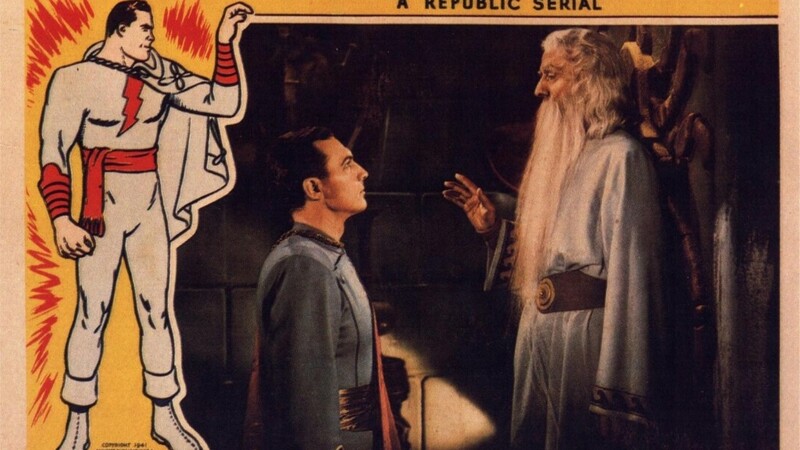 The serial deserves its reputation and it made Tom Tyler (Captain Marvel) a bankable star for Republic. 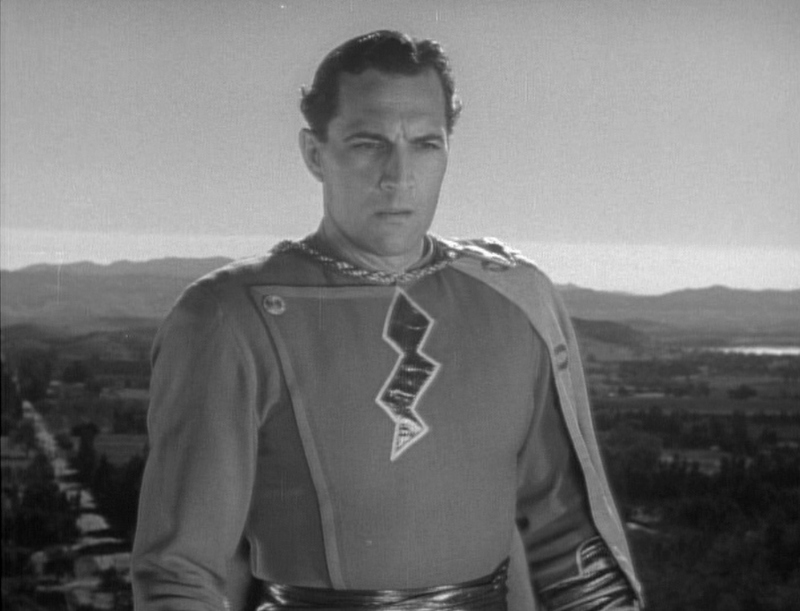 The funny thing is, this is one of the greatest cinematic trompe l’oeils ever, because Tom Tyler himself is hardly in the movie. 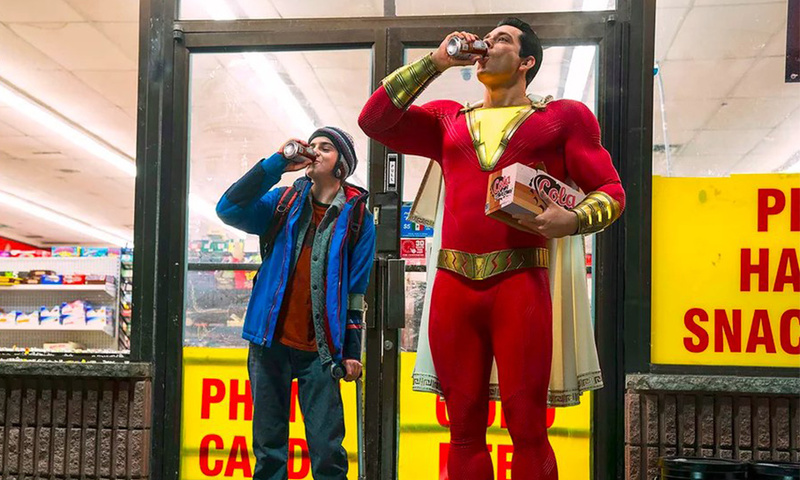 About half the scenes of Captain Marvel are actually shot with stunt doubles or, in the case of the flying sequences, a papier-mache sculpture strung on wires. 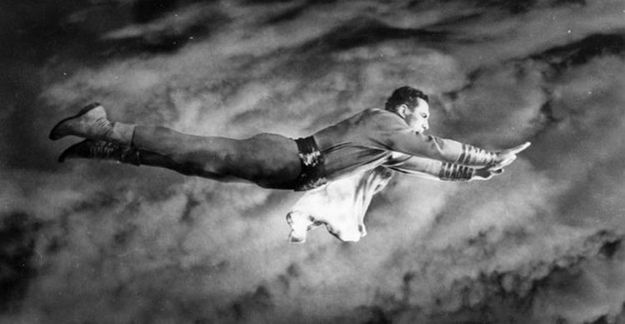 The flying effects were performed mostly with a dummy. The dummy was slightly larger than life, at 7 feet tall, and made of paper mâché so that it weighed only 15 lbs. The uniform was made of thin silk and a cotton jersey. Four pulleys connected to each shoulder and calf, which were strung on two wires so the dummy moved along them by its own weight. The wires were attached to two objects across the view of the camera, and the dummy slid from one to the other, giving the appearance of flight. This system was originally intended for a Superman serial, a prototype of which was built but discarded. The flying pose used for the dummy, arms outstretched and back arched, was based on drawing by Mac Raboy. 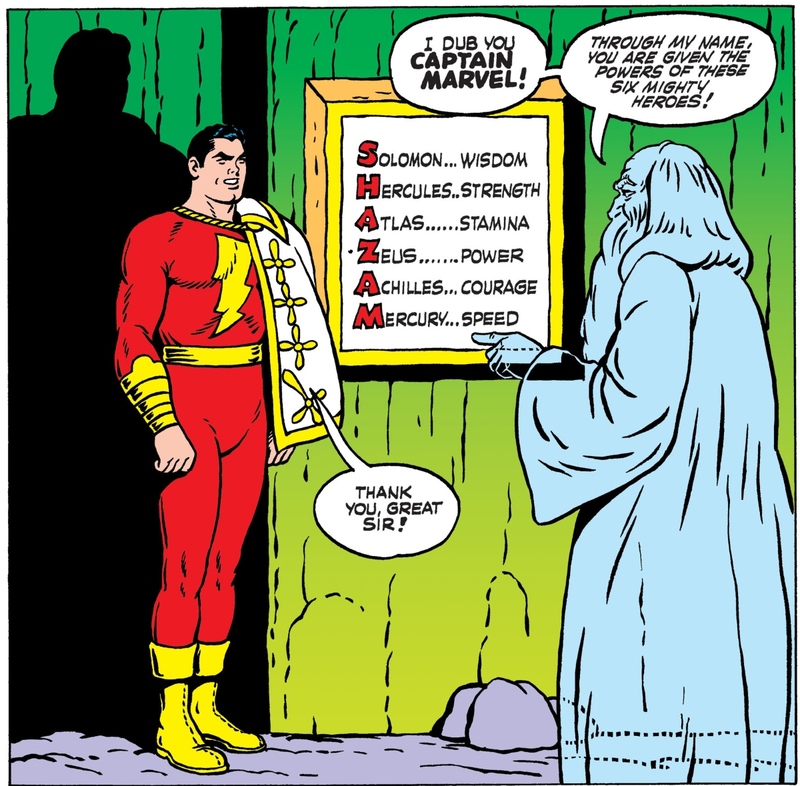 If Captain Marvel needed to be seen flying upwards, the cape was weighted down and the dummy slid backwards. The film of this was then reversed. Dave Sharpe was the human part of the effect. 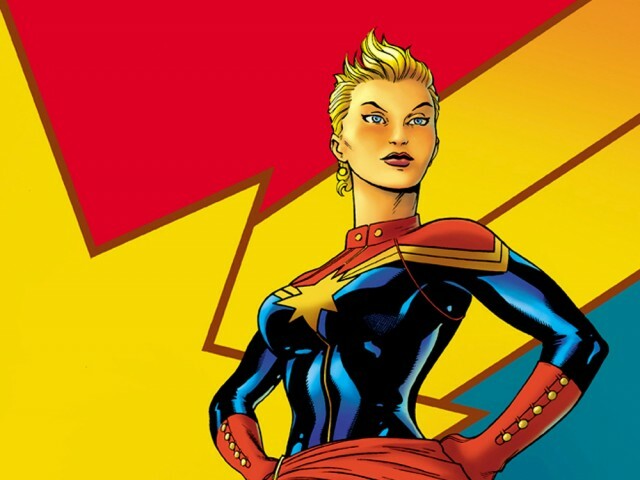 Dressed as Captain Marvel, he would leap from a high point with his body straight, as if able to fly, then roll to land at the last second. 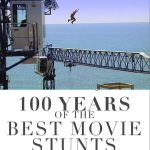 The combination of effects and stunts produced the overall illusion of a flying person. 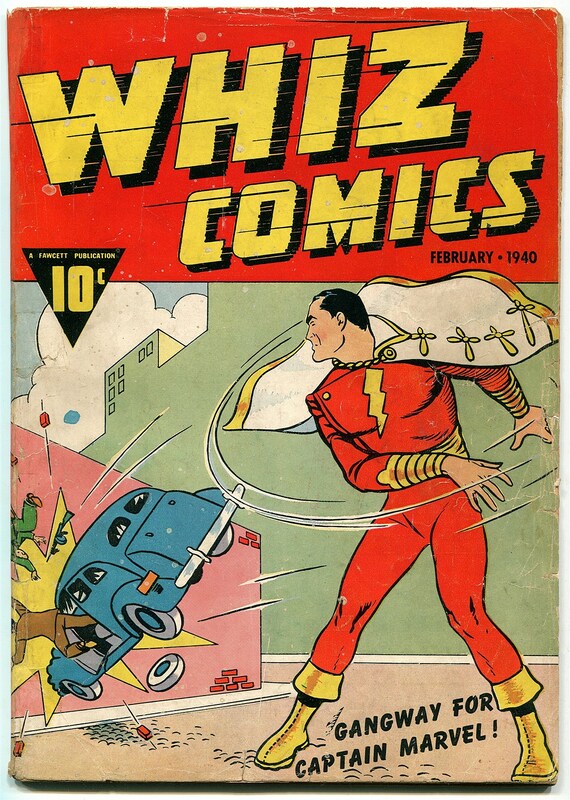 Sharpe also performed other stunts as Captain Marvel, such as back flipping and knocking down attacking natives in the first chapter. 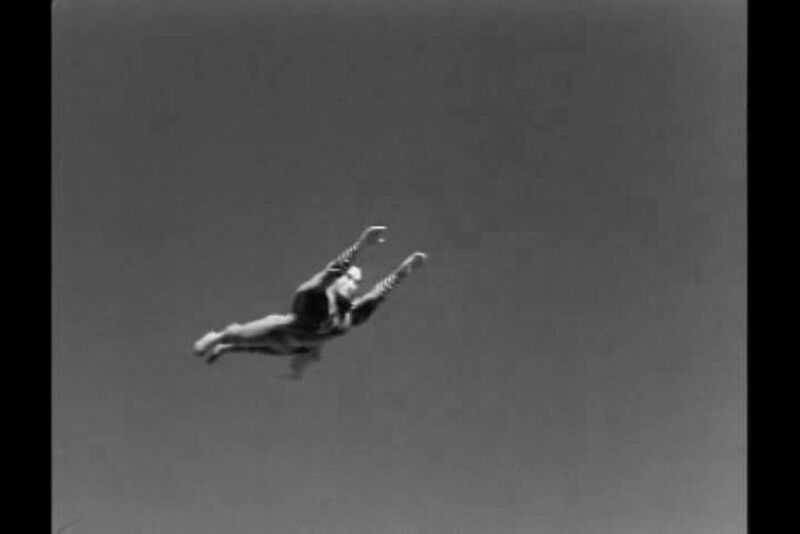 Some shots of Captain Marvel flying were filmed with Tyler against rear projected clouds. However, some of these scenes show the wires used to hold him up. 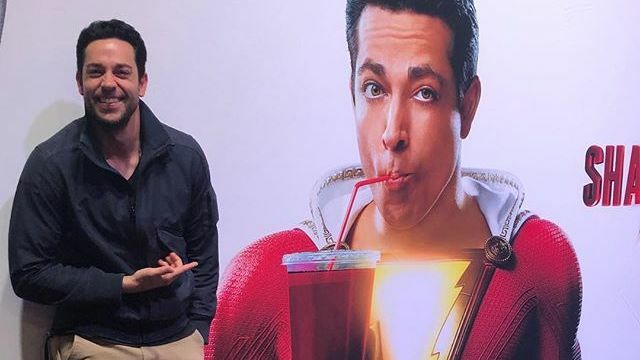 The picture is largely carried by a young and energetic Frank Coghlan as Billy Batson, who has almost all of the dialogue. 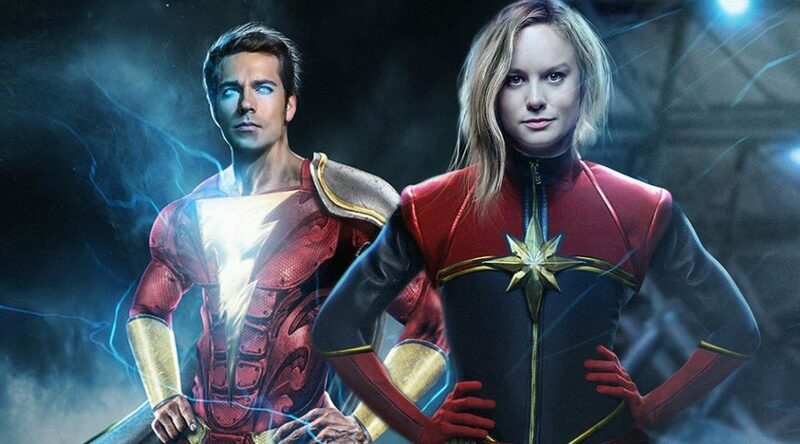 The character of Captain Marvel is barely a walk-on, he has about as much actual screen time as Lou Ferrigno used to get on the old Incredible Hulk TV show– and Cap generally only shows up for the same reason, to get his alter ego out of trouble at the last possible minute. Trompe-l’œil: (French for “deceive the eye”, which can also be spelled without the hyphen in English as trompe l’oeil, is an art technique involving realistic imagery in order to create the optical illusion that the depicted objects exist in three dimensions. Forced perspective is a comparable illusion in architecture. History of film companies as defined by IMDB: Republic Pictures was an American independent film production-distribution corporation with studio facilities, operating from 1935 through 1959, and was best known for specializing in westerns, movie serials and B films emphasizing mystery and action. 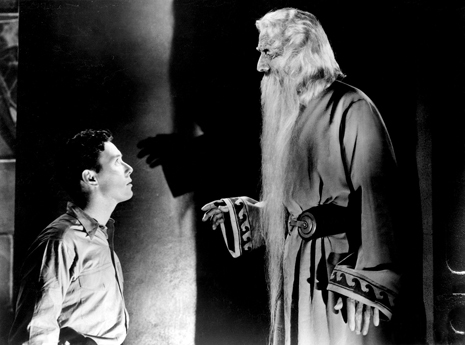 The studio was also responsible for financing and distributing one Shakespeare film, Orson Welles’ Macbeth (1948), and several of the films of John Ford during the 1940s and early 1950s. It was also notable for developing the careers of John Wayne, Gene Autry and Roy Rogers.